This is a great recipe. I know that brown rice isn’t as popular as white rice. But, brown rice is much healthier than white rice. It contains more vitamins, minerals, and fiber than white rice. It does take longer to cook brown rice, than white rice. 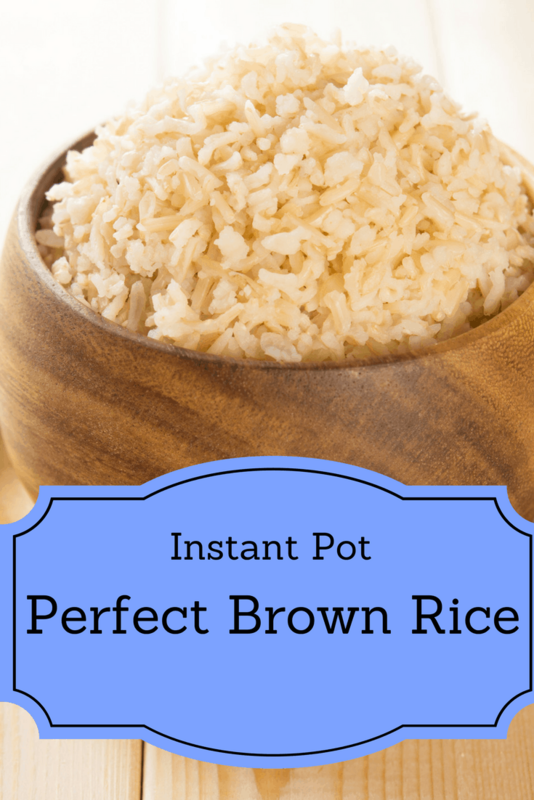 In your Instant Pot, place the rice and the water. Add the lid to your Instant Pot, make sure it's on sealed. Set the manual high pressure for 23 minutes. Once the timer goes off, do a quick release.